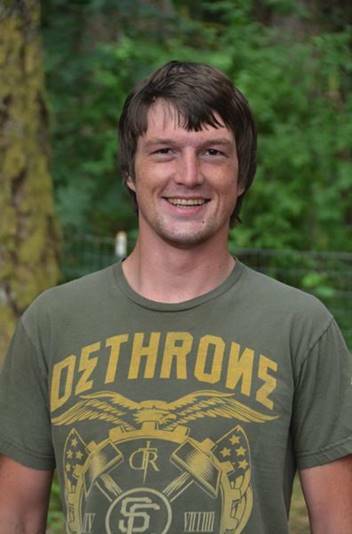 Jacob Reed Marshall died Saturday, January 2, 2016 in Welches, Oregon at the age of 22. Jacob was born April 14, 1993 to Jeffrey and Jill (Garner) Marshall in Portland, Oregon. "We will celebrate the life of Jake Marshall, even as we grieve his loss. Join with the Marshall Family and Jake's countless friends at Clarke's Elementary School this coming Saturday, January 9, 2016, at 1:14pm. Jake was an unconventional guy - in his honor, this service of worship, remembrance and celebration of life will also be unconventional. Hence, our start time will be 1:14pm." “He was always a young man,” Sonnen said. “He was always somebody who if he looked you in the eye and he told you something, you could count on it. Sonnen was speaking inside the Clarkes Elementary School gymnasium in Mulino where a standing-room-only crowd gathered Saturday afternoon to pay tribute to the 22-year-old Marshall, who died Jan. 2 in a late-night traffic accident on Highway 26 in Welches. Jacob Reed Marshall was born on April 14, 1993. He graduated in 2011 from Molalla High School where he was a four-time state qualifier and a two-time OSAA Class 4A wrestling runner-up for the Indians. After high school, he enjoyed some success as a regional mixed martial arts featherweight fighter. He also worked as a foreman for Legacy Wireless Services in Clackamas, building, upgrading and maintaining Portland-area cellular sites. “I’d love to tell you guys that Jake was the nicest guy I ever met, but it just wasn’t true,” said Sonnen, one of several coaches who worked with Marshall at the All-Phase Wrestling Clubs in Canby and West Linn. “He was very ornery. Tables set up along one side of the gymnasium were filled with family pictures and assorted personal memorabilia that included several MMA belts, dozens of wrestling medals, old wrestling shoes, a bike, a skateboard, a snowboard, a green-and-black ‘Lil Monster’ banner, and his Legacy hard hat and work gear. Saturday’s celebration of life was scheduled for 1:14 p.m. — an unusual start time that Rev. Lorin Darst of Macksburg Lutheran Church in Canby explained was meant as a tribute to a young man who often marched to the beat of a different drummer. Darst also told the crowd that at the same time Saturday’s service started, the bells at his church 11 miles away were ringing 22 times. “Jakey really knew how to play,” she said. “He also knew how to work. He had an amazing work ethic. If he was going to do something, then it was worth doing, and it worth doing all the way with his whole self. Clarkes classmate Trevor Martell played his acoustic guitar and sang as part of his tribute to Marshall. Anna Russell talked about the impact Marshall had on her and others in the extremely tight-knit community. “The overwhelming response to his death and the overwhelming amount of people that are here today are testaments to how he lived his life,” Russell said. “Jake always saw the fun and excitement in life, and he was fearless in taking advantage of that. Goddard said one of the things that made her nephew unique was that he knew who was as a person and was happy with that. “He knew that perfect was impossible and likely boring,” she said. “It is an amazing gift to be so comfortable and confident with who you are, that you become a magnate for other people. “You just knew immediately who Jake was when you met him. There were no games, just authenticity. Jake wanted the same for others. He wanted people to just be happy with themselves while still challenging themselves.